Terrorist organization offers first acknowledgement of Monday strike, claims no casualties. Hezbollah on Wednesday finally acknowledged the air strike which reportedly took out its missile convoy from Syria on Monday. The Lebanese based group blamed Israel for the strike, saying it wreaked damage but left no casualties. 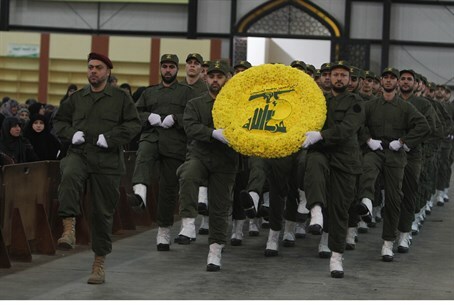 The claim contradicts reports by Lebanese security officials to the local Daily Star, who said four Hezbollah terrorists were killed in the strike. The terror group vowed revenge on Israel at "the appropriate time, place and means," reports AFP. "This new attack amounts to blatant aggression against Lebanon, its sovereignty and territory," the statement claimed. In response to the threats, Israeli sources told Haaretz that Hezbollah is ected to try and target Israeli officials in revenge. Prime Minister Binyamin Netanyahu remained elusive Tuesday as to whether Israel was behind the strike. Speaking in a joint news conference with visiting German Chancellor Angela Merkel, he said "we are doing everything that is necessary in order to defend the security of Israel." Asked about the air strike, Netanyahu remarked "we will not say what we're doing or what we're not doing."